Soy wax candles, to make a difference. Join our candle club, it's easy. Never run out of candles again. Choose your package, and receive candles regularly that are made just for you. Many of the fragrances are exclusive to club members and every fragrance will be selected based on your personal fragrance profile. 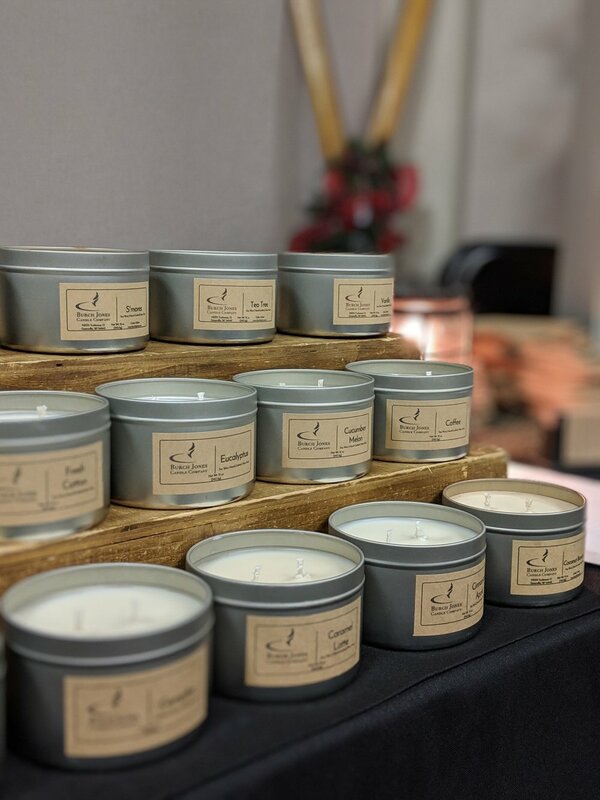 Burch Jones Candle Company hand pours eco-friendly candles made with 100% soy wax, premium fragrances, and essential oils. Our candles and wax melts are made from scratch in Greenville, Wisconsin and do not contain any artificial dyes or coloring. We only use essential oils from trusted providers with a reputation for quality and purity. Every month, Burch Jones Candle Company will add new fragrances to our collection based on popular request. We ask our Facebook fans for fragrance recommendations frequently and the most popular requests are added to our collection the following month. Go like our Facebook page to participate in our weekly poll and you could be randomly selected to win free candles, wax melts, and discounts. We release a new poll every week, Mondays at 7:00pm.